Your appointment begins with a comprehensive examination where your doctor will discuss your diagnosis and treatment options. Any questions you may have will be addressed at this time. The doctor will outline a solution that best fits your individual needs. 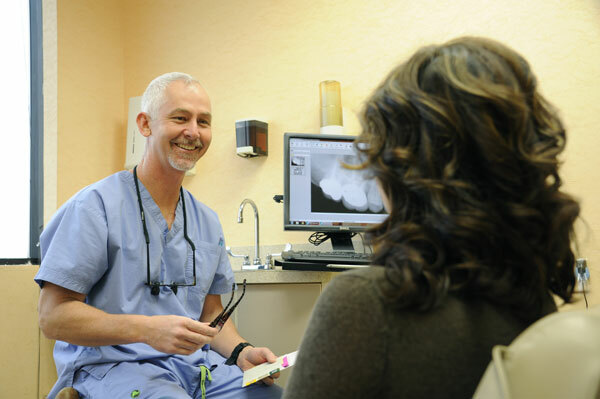 Procedures we offer include non-surgical root canal therapy, endontic retreatment, traumatic injuries for adults and children, cracked teeth, and apicoectomies. When you come to the office please bring your referral slip and x-rays if available. If you have medical or dental insurance please bring the necessary forms and insurance cards. Please arrive early if you have not yet completed your new patient registration papers. You should allow twenty to thirty minutes for new patient registration. Please bring a list of your current medications and take all routine medications prior to your visit if applicable. Please do not take medication for discomfort for at least 4 to 6 hours prior to your appointment. Treatment is performed using local anesthesia and other options may be available, please speak with the doctor about any concerns you have regarding your treatment options. If you have a medical condition that may be a concern prior to your visit such as diabetes, high blood pressure, rheumatic fever, artificial joints or heart valves, etc., please let us know before your appointment. If you require antibiotics for any existing conditions please contact our office prior to your visit. All patients under the age of 18 need to be accompanied by their parent or legal guardian. Endodontics has had many advancements that allow for a very smooth patient experience that is not very different from having a tooth filled or being treated for other common dental procedures. We will do everything we can to make your visit as pleasant as possible.